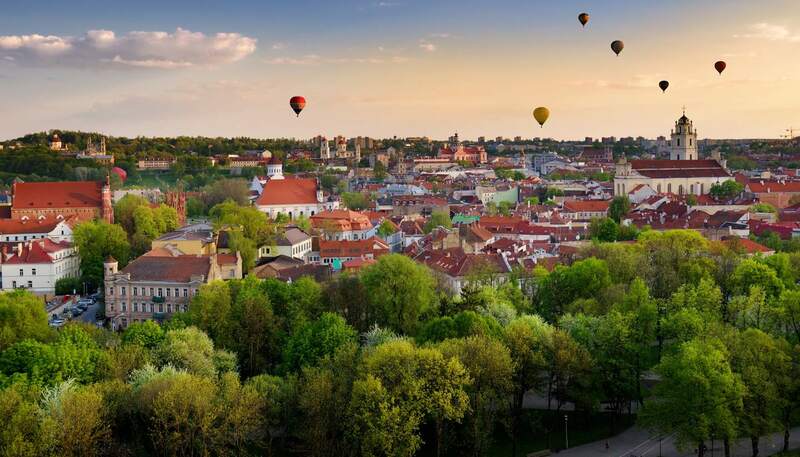 Once the least known and visited of the three Baltic State capitals, Vilnius has now established as a city-break destination of considerable repute and most tourists start from its Old Town, one of the largest surviving medieval old towns in Europe and a UNESCO-listed site. Though occupied for much of the 20th century by Russians and Nazis, it is the period of Soviet rule that is most tellingly portrayed in the Museum of Occupations and Freedom Fights, housed in the former KGB headquarters, complete with still-intact cell block and specialised torture rooms. 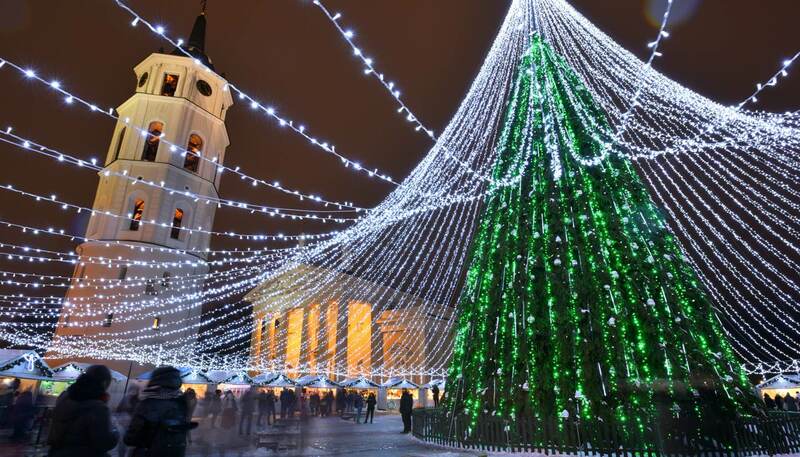 Elsewhere, the National Museum of Lithuania tells the story of prouder moments in the country’s history and has the largest collection of Lithuanian cultural artefacts seen anywhere. 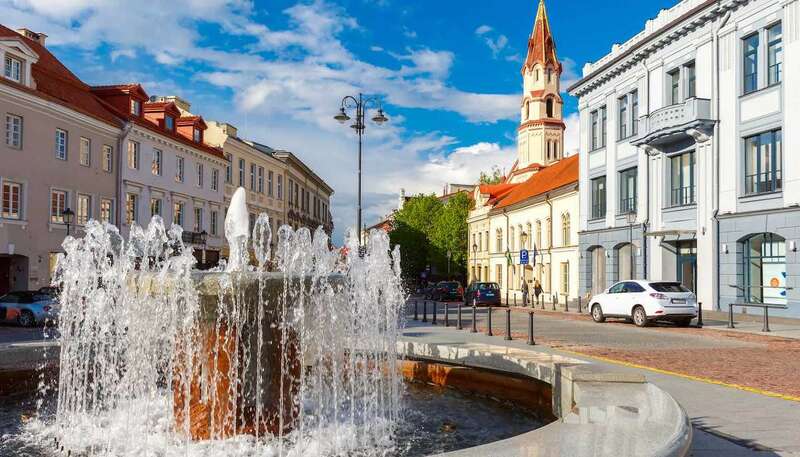 However, the city's history began long before occupation and its historic core is still stunning, centred on a well-preserved and expansive baroque old town that is fringed by the Vilnia and Neris Rivers. 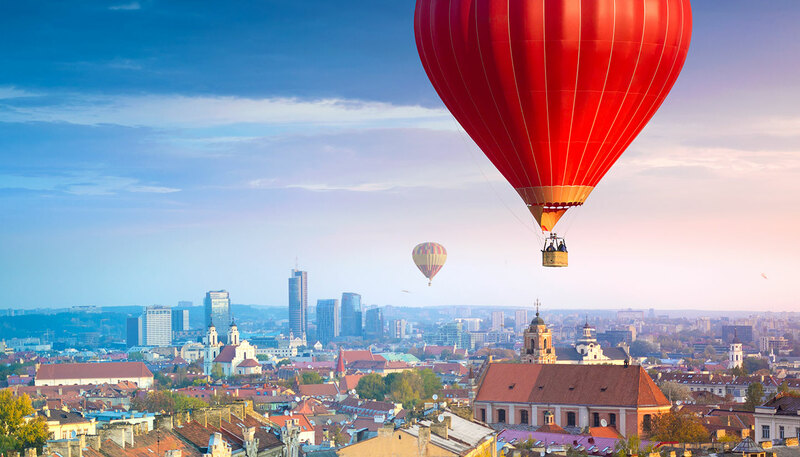 A riot of red pitched roofs, often punctuated by church spires, reaches for the heavens, and the best vantage point is from the summit of the Hill of Three Crosses in Kalnai Park. Another great vantage point – fitted with a lift so you only need to climb the last few steps up to the veranda – is from the campanile of St John’s Church. At 68m (223 ft), the campanile is the tallest structure in the Old Town. If it's art you're after, the city is awash with creatives too. The huge Contemporary Art Centre is one of the biggest art spaces in the Baltic region and is the place to go for exhibitions, retrospectives, one-off events and hand-picked cinema pieces. Else, hunt out the amazing street art including two portraits of Titan Atlas supporting the Liubarto bridge and the viral-sensation Trump-and-Putin street art - the original version had them sharing a kiss, but it was vandalised and later changed. 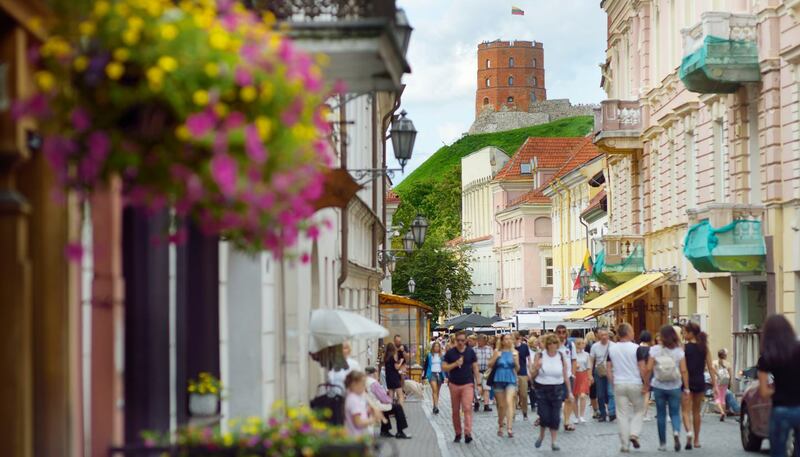 Add in the buzz that the large local student population injects into the narrow cobbled streets, it all makes Vilnius a thrilling, energetic and rewarding place to visit.